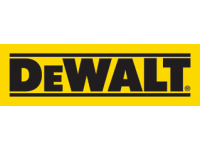 Wylaco Supply | Buy 50 Chop Saw Wheels and get a DEWALT D28710 Chop Saw for $99.99! Buy 50 Chop Saw Wheels and get a DEWALT D28710 Chop Saw for $99.99! Limited Time Special Offer - Buy 50 Chop Saw Wheels and get a DEWALT Chop Saw for $99.99!. A $796.82 Value for Only 349.99!!! Buy 50 DW8001 General Purpose Chop Saw Wheel, and we’ll add a DEWALT D28710 Chop Saw to the deal for only $99.99 extra!